Kilter Avenue at Downtown Gallery is a fitness lifestyle space that comprises a studio gym, a restaurant and a bar that advocates healthy moving and clean eating. 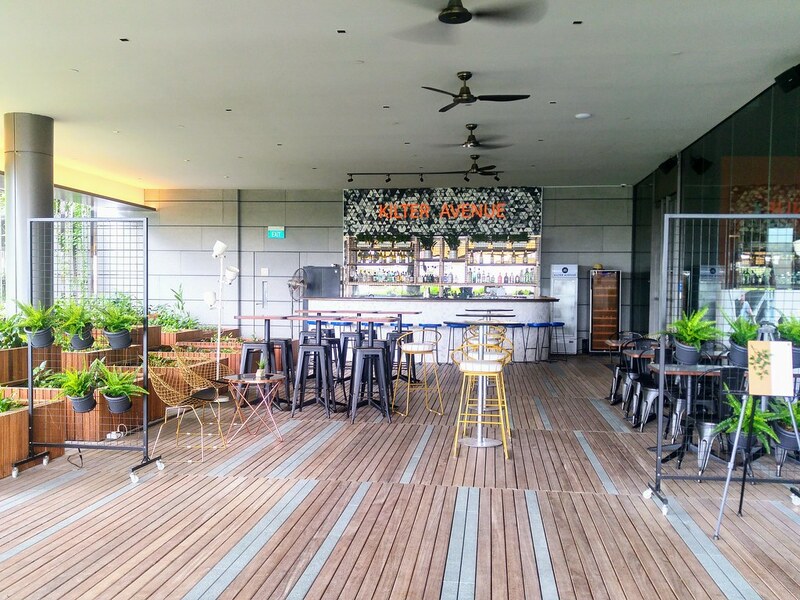 Its in-house restaurant and bar - HRVST, is a vegan concept that serves a full menu of vegan starters, mains and bar snacks, aims to craft an alternative commonplace to change perceptions, to provoke thought and deliver impact. Like most cleaning eating concepts that arise these days, HRVST aims to change the not-so positive perceptions of vegan eating. 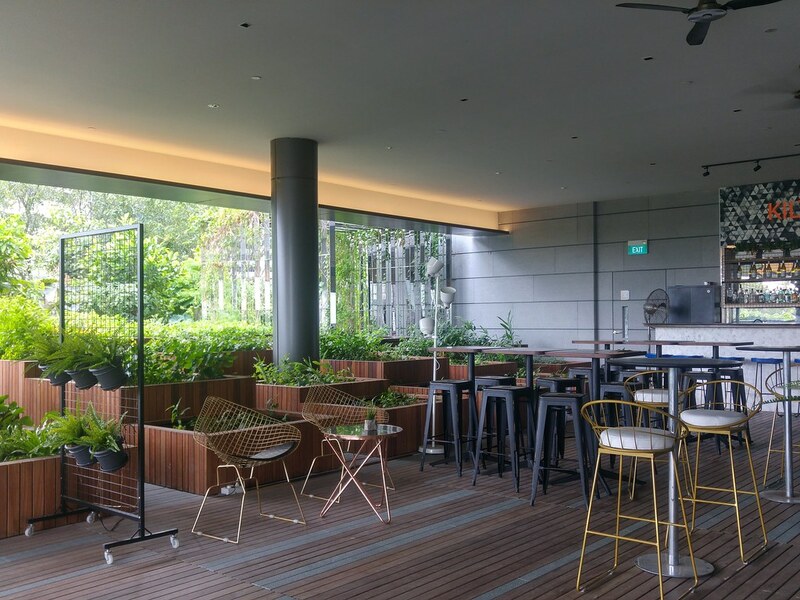 I always have a healthy relationship with my vegetables but I was really excited to try out HRVST, simply because of the huge roofstop garden that resides just outside their doorstep. Lush dill plants, herbs, spices etc. Can you imagine vegan bar snacks?! It's kinda of an oxymoron to me, really. 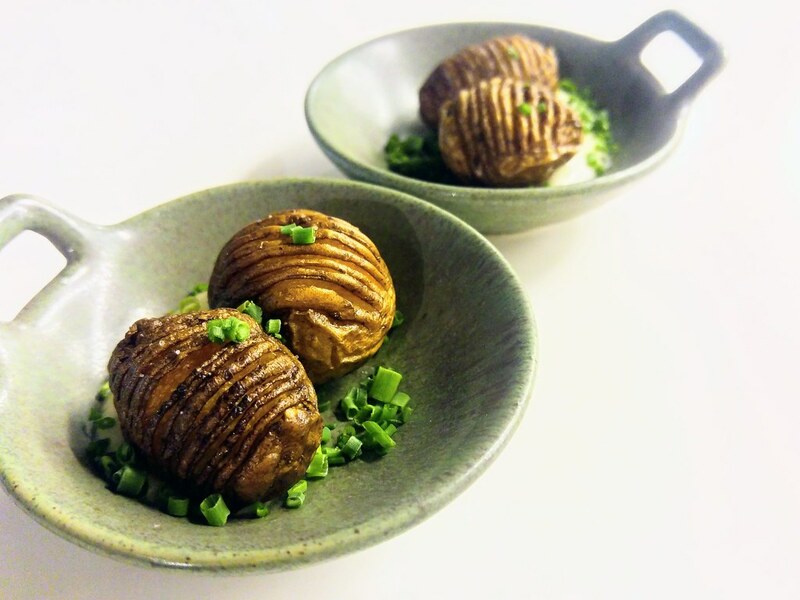 Served with garlic aioli, the Twice Cooked Spuds ($8 for 5pc) were moist in the inside and crisp on the outside. Steam before frying is the trick. The soy based aioli surprises many with its creamy texture, with the apple cider vinegar lending a clean acidity to the finishing. 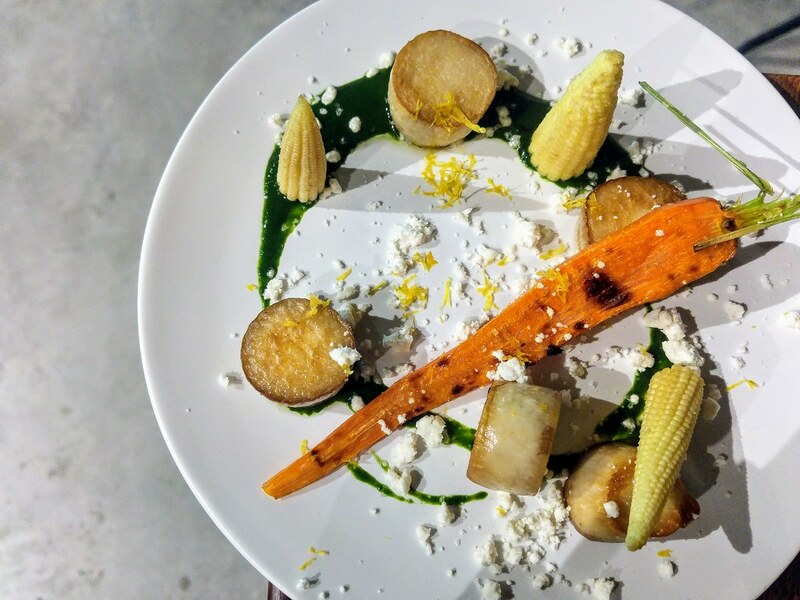 King Oyster 'Scallops' Mushroom ($12) is an aesthetically pleasing dish. Made with garlic and modified tapioca starch, the garlic snow that falls on the garden of vegetables is flavour lifting. Lightly seasoned and grilled, the savoury mushrooms and the crunchy roots may just take your mind off meats in that very moment. 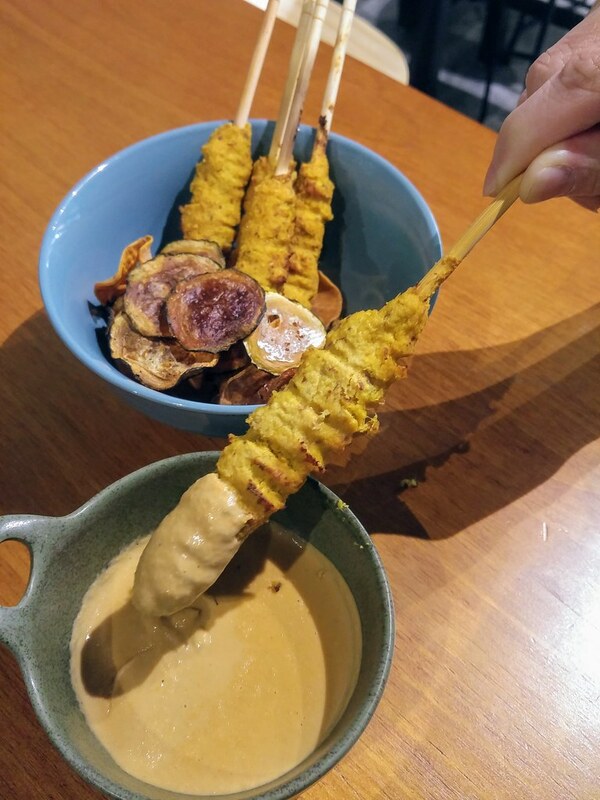 The Soy Satay and Veggie Chips ($10), I believe would become a popular bar snack. It smells and tastes pretty close to a chicken satay, \and the creamy peanut sauce can be dangerously moreish. But mock meat being mock meat, I still find them a tad oily and I still very much prefer animal fats to vegetables fats - natural vs processed. I like the veggie chips more actually, consisting of zucchini and sweet potatoes. The process of dehydration then baking seems to have concentrated their flavours, as I could taste the sweetness of them even more. I thought the Sourdough ($14) would be a sandwich that would challenge the classic avocado sandwich combination but it just cements the position of the latter. It is a joyless dish that may just make you stay firm with your current non-vegan diet if switching ever crossed your mind. 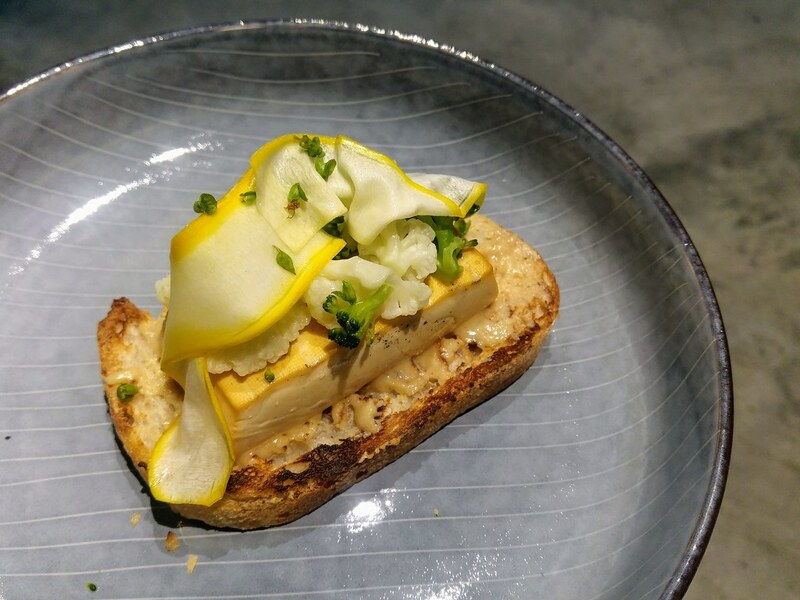 The pickled zucchini, broccoli and cauliflower fell apart before anything else, and I really feel a lot more can be done to the orange glazed grilled tofu because it really tastes nothing more than just a piece of slightly sweetened tofu, that is being placed onto a piece of bread out of convenience in trying to form a sandwich. And when you have the entire garden at your doorsteps, why only just a sprinkle of the basil leaf's flowers? 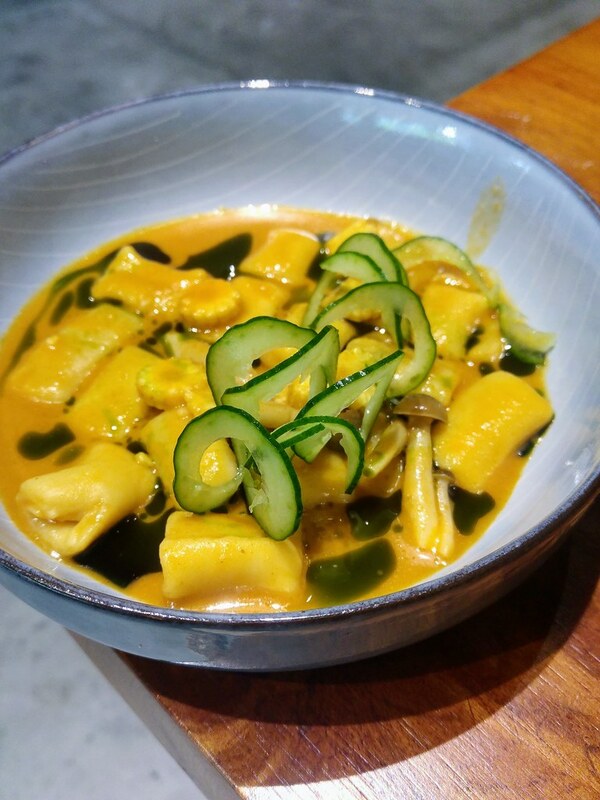 The Pumpkin Gnocchi in Tom Yam Broth ($16) has a lot of potential in becoming a mainstayer if the gnocchi can be improved. The tom yam broth is made using sweetcorn to give that sweetness and coconut milk is added to thicken its consistency. Robust and fiery with a kick, I wiped the bowl clean. The homemade coriander oil heightens the aroma. What disappoints is the gnocchi made from butternut squash. I reckon the ratio of the flour is a lot higher for its a lot tougher than what I had before. Too little protein and fibre in a bowl too. 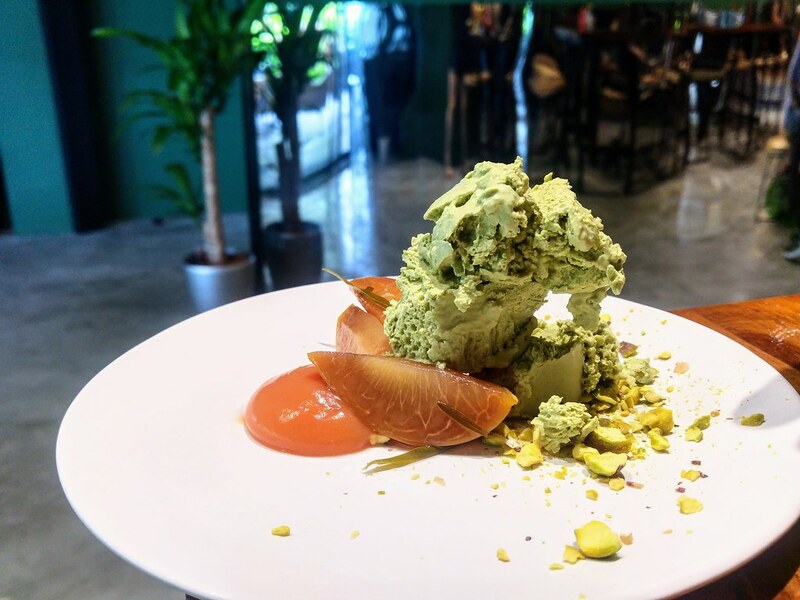 The star of the day, is definitely this Matcha Ice Cream ($8) made with coconut milk. This is what I called a truly naturally ice cream. Hand churned, you should just throw that supposedly healthy yogurt or gelato ice cream into the bin. Served with blood orange puree, poached plums and pistachio, you got your balance of sweet and acidity. They should just set up an ice cream parlour outside the gym! When one of the intentions is to complete the experience of the gym-goers here, the meals don't seem to be that appealing to a hungry body. After a spirit lifting workout, I need a full, energising meal - colourful, vibrant, loaded with fibre especially. I do look forward to what HVSRT can offer at its bar, as I heard the botanicals from the garden will be used for their cocktails. I shall just stick to the notion of balanced meal for now. If I crave for a satay, I will take a real meaty satay laden with fats. Not vegan for sure! Interesting to read a review of a vegan restaurant based purely on the flavours and not the benefits of veganism, namely environment, health and animal welfare. Nobody goes vegan 'because it tastes better' but the more tasty vegan food options there are, the more people who aren't concerned about the environment, their health or animal welfare will eat vegan food. So it's definitely something vegan chefs need to work on. 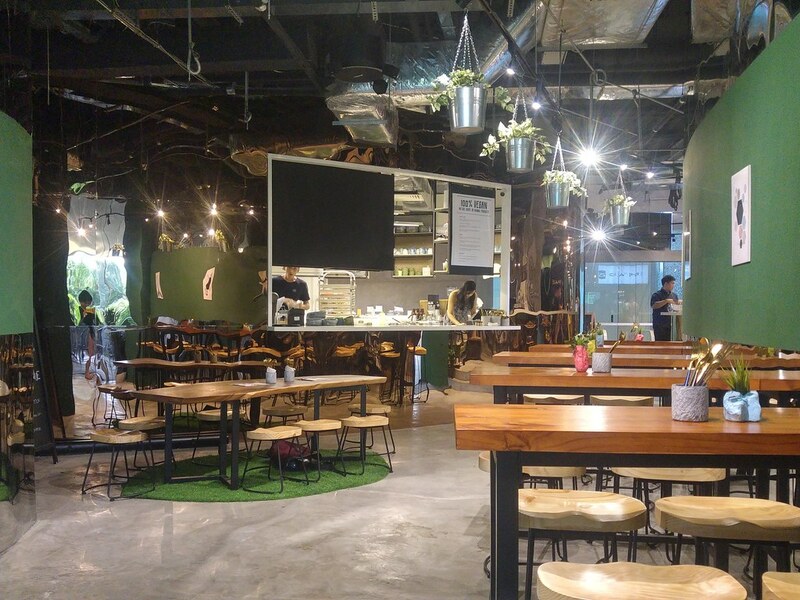 Will check this place out!